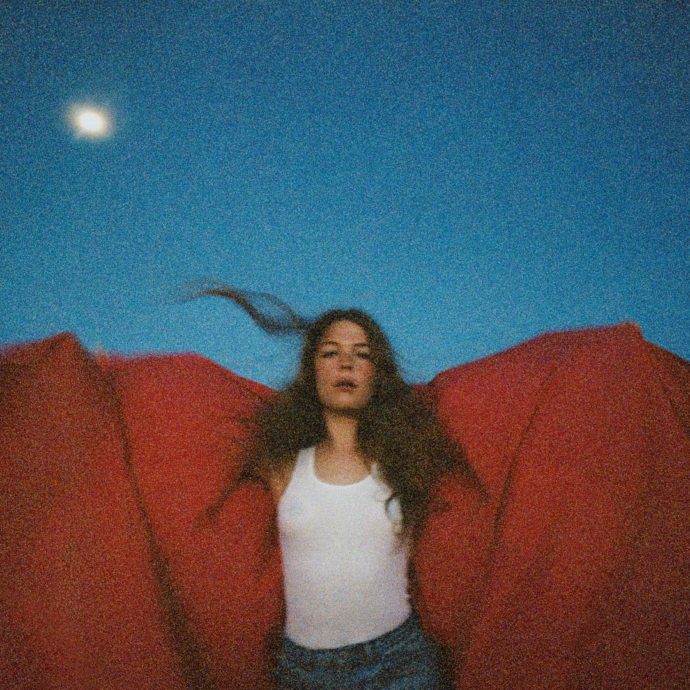 After rising to viral fame in 2016 with the help of Pharrell, Maggie Rogers has developed into a full-fledged pop star, with the release of her new album, Heard It In a Past Life, cementing her status as a legitimate and extremely talent artist. Rogers seamlessly blends her singer-songwriter sensibilities with sparkling, intricately layered music to create songs that invite the listener to consider their place in the world while they dance the night away. “Give a Little” sets the album off, as Rogers energetic vocals and sun-drenched synths transport the listener to a back to warmer days. A persistent drum beat and sing-along chorus create a cathartic and ultimately hopeful atmosphere off of which the rest of the album builds. The dance-heavy arrangements continue throughout the album, incorporating groovier basslines and delicate percussion flourishes that bring an immediacy to the music. Rogers’ brand of dance music is contemplative – intent on having fun and dancing off the stresses of life, while contemplating her role as a friend, a star with increasing influence, and a young adult trying to make it all work. Rogers sings, “Oh, hit me up if you’re feeling down/Give a little, oh we’ll figure this out…Make a little fuss, oh it’s all allowed/Beautiful how it all pours out” on “The Knife”, underscoring her desire to be there for those she cares about, while also acknowledging the need to let loose and enjoy life as it comes. This emphasis on emotional health in the face of instant celebrity continues on “Light On” as Rogers says, “Tried to figure it out/But everything kept moving/And the noise got too loud/With everyone around me saying/’You should be so happy now’” It is deeply refreshing to hear an artist speak about the stress of fame so directly. All too often celebrities feel compelled to put a cheerful veneer over their public interactions for fear of losing fans. Rogers dares to tell the truth, openly admitting that the constant attention and pressure can be deeply overwhelming. While Rogers’ clear focus throughout the album is on her developing relationship with her old life and the new world she has found herself in, she takes time to turn inward, reflecting on her own mental state. “Alaska”, the song that catapulted Rogers into the limelight, is a deeply delicate and introspective song, reflecting on solitary time spent on a trip to Alaska. Rogers’ herself says “It’s the story of a time in my life when I was really lost, and it in turn has provided so much clarity for me.” “Alaska”, along with “Past Life”, represent Rogers at her most reflective, as she writes about internal confusion, torn between a sense of adventure and a desire for an anchor amid the change. Through much of the album, Rogers’ vocal floats above the fray, remaining ethereal and poised above the din; however, as the record comes to a close, she opens up, putting an additional emotional charge into her singing. “Falling Water” and “Retrograde” in particular showcase this variant of her vocal. Rogers sounds strained for the first time on “Falling Water”, on the edge of falling apart. The emotional power of these songs is incredibly resonant, and this vocal style could have done even more were it spread through the album with more consistency. The only mild disappointment here – emphasis on mild – is the relative lack of brand new tracks. Between the songs from her EP Now That The Light is Fading, the inclusion of “Back in My Body” on a tour video released in early 2018, and the singles released beforehand, there are only 6 tracks on the record that are brand new. This is, of course, nitpicking, as “Alaska” and “On + Off” from the EP both fit the emotional themes of the album and are excellent songs in their own right, so their inclusion, though not novel, is still valuable to the character of the album. The final two songs “Burning”, and “Back In My Body”, bring the album to a sanguine close, as Rogers comes to terms with her experiences and reflects on the joys that her newfound fame have brought her, as well as the sense that she has not herself amongst the many changes. She sings triumphantly, “I’ve got a feeling and keep believing/I’m never gonna give this back.” The chorus effect used on her voice throughout the album is especially poignant here, highlighting the inner stability and strength she has found. Roger’s talent is immediately clear upon hearing “Alaska”; her ability to weave folk and nature samples, dance beats, and sophisticated lyricism are all instantly on display. Her album debut hits all the same notes while stretching into new spaces with new vocal styles, additional sonic layering, and experimentation with more stripped back, acoustic arrangements. Despite her youth and relative inexperience as a full-time artist, Rogers has found a powerful and unique musical space, in which she can continue to grow and spread her message of the importance of genuine human connection and earnest self-reflection.